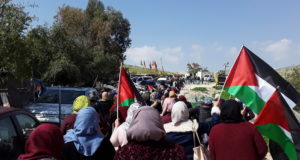 On the same morning when an official from the ICA, Israeli Civil Administration, promised to “pardon” the demolition orders of the solar panels in Imneizil, a village at the southern border of the West Bank, a new demolition order was delivered to the village on 21 November. Two representatives from ICA showed up at the school in Imneizel and handed over a demolition order that commanded the immediate cessation of restroom construction at the school. 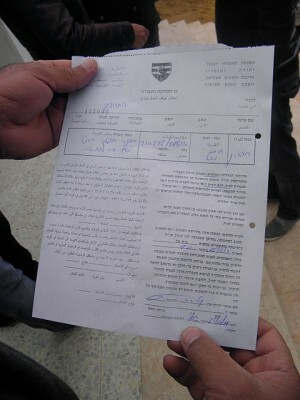 Representatives of the Israeli Civil Administration deliver a demolition order on a unfinished part of the school in Imnezeil. 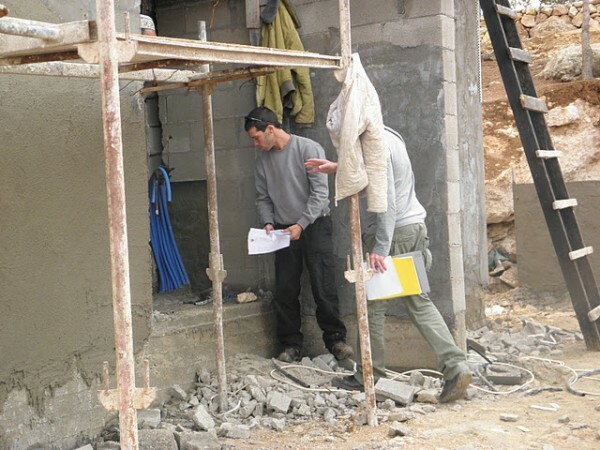 Several constructions in Imnezeil have demolition orders, including part the main part of the school that was built in 1993.The school is both a primary and secondary school, and if the school is demolished the children of Imneizel and the surrounding villages in the same zone will have no possibility of continuing school unless they are transferred to Yatta. 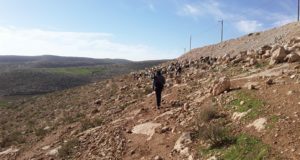 tructions were demolished in the West Bank in 2011, 21 of them in the Hebron area. 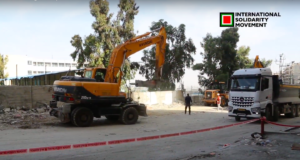 According to the Rabbis for Human Rights, it is a part of the bureaucratic system of the Occupation of Palestine that suppresses through a permission system that is supporting demolitions in violation of international law. Aida Gerard is a volunteer with International Solidarity Movement (name has been changed).